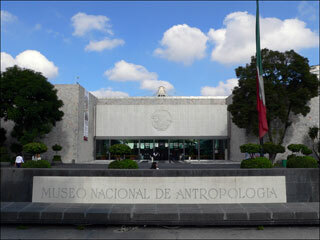 The National Museum of Anthropology is a national museum of Mexico. It is the largest and most visited museum in Mexico, which contains significant archaeological and anthropological artifacts from Mexico's pre-Columbian heritage, such as the Stone of the Sun (or the Aztec calendar stone) and the Aztec Xochipilli statue. This article uses material from the Wikipedia article "National Museum of Anthropology", which is released under the Creative Commons Attribution-Share-Alike 3.0 License.